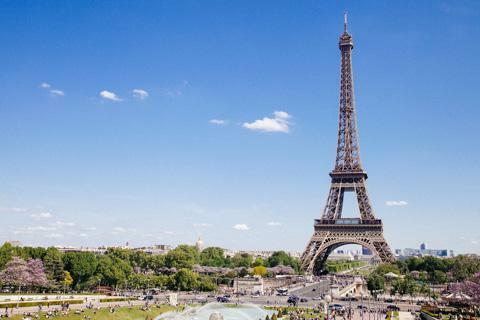 How much does it cost to travel to Paris? How much money will you need in Paris? €162 ($182) is the average daily price for traveling in Paris. The average price of food for one day is €28 ($31). The average price of a hotel for a couple is €210 ($236). Additional pricing is in the table below. These average travel prices have been collected from other travelers to help you plan your own travel budget. How much money do I need for Paris? Paris is a dream destination for many people. It's location on the river Seine contributes to its stunning beauty and you can spend many days wandering through its wonderfully diverse neighborhoods. It's known as a city of culture, fashion, food and fun. There is never a shortage of entertainment and activities around town and a highlight of many people's trips to Paris is to explore the city at night, when it truly comes to life. It is not hard to see why this city has received the nickname as the "City of Lights." The city is one of the largest metropolitan areas in Europe, with over 2 million people living in the central city and more than 12 million in the entire metropolitan area. A large part of the city has been declared a UNESCO World Heritage Site and there are world famous monuments and landmarks throughout. It's also one of the most popular tourist destinations in the world with about 45 million tourists every year. Paris's climate is oceanic and relatively mild. The summer months are warm, with average temperatures between 15 and 25 degrees Celsius. Spring and fall are mild, but temperatures can be somewhat unpredictable. The winter months can be overcast and cold, but daytime temperatures are usually above freezing. Snow is rare but does happen occasionally. While there are no shortage of sights in Paris, do not over organize your visit. The city's atmosphere is something to be experienced. If you find yourself rushing from one attraction to the next, then you will miss what Paris is really about. Make a point of walking between destinations and popping into shops or stores that strike your fancy along the way. The most famous sights in Paris are, of course, the Eiffel Tower, as well as the Louvre, the Arc de Triomphe, the Catacombs, and the Pantheon. Paris is also a city of gardens and wandering on foot allows you to see the neighborhoods in detail. Paris is divided into 20 districts, or arrondissements. They are numbered 1 through 20 and form a clockwise spiral from the city center. Kilometre Zero is Notre Dame, which is at the very center of the spiral. It's is best to pick up a map before you arrive in town, or get one at one of the tourist information centers around town. They are also available at most hotels. As a large, cultural city, there is really no shortage of activities that you can enjoy during your time in Paris. There are almost always shows, concerts and events going on around town. And if you only have 3 days in Paris, other than visiting the landmarks mentioned above, you should spend some time getting to know the city and its events. Some of the most famous events in Paris include Fashion Week, Chinese New Year, the Six Nations Rugby Tournament, the French Tennis Open, La Fete Nationale, Gay Pride, Bastille Day, and Rock en Seine. Finally, here's a great list of things to do if you have 4 days in Paris. French food is some of the best in the world, and you will find no shortage of options in Paris. If you're on a particularly tight budget, eat a nice meal out at lunch and plan for a picnic dinner. You can enjoy a "business man's" lunch which includes a soup or salad, an entree, and a dessert, all for a reasonable price of around 10 to 15 Euros. It's a great way to sample multiple dishes and try some unique French dishes without blowing your budget. Then you can go to the local market and pick up some fresh fruit or produce as well as French cheese and some wine to enjoy a nice dinner picnic as you watch the city light up at night. If money is less of a concern for you, then enjoy dinner out as well, and make sure you sample some of the more unique and exotic French delicacies that are available at some of the nicer restaurants. Paris is full of a diverse set of restaurants, with everything from traditional French food to modern cuisine, to streetside cafes. Also, you can find some amazing Vegan restaurants in Paris. The city of light offers something for everyone. Make sure you spend some time walking around Paris. You can cross much of the city in a few hours and the views and diversity of neighborhoods are well worth the effort. If you're hoping to see more sights in a shorter amount of time, then the metro is a good option. It's best to avoid taking the metro for two or less stops though, because you could cover the distance on foot in about the same amount of time. The metro stations are marked with a large "M" sign. There are 16 lines and trains arrive every few minutes. The metro can get crowded during rush hour, but the train frequency does increase to help accommodate the situation. It's possible to rent a bike in Paris and this can be a fun way to explore the city. It's best to have at least some biking experience though, because navigating the city can be a little tricky. Paris continues to add amenities for bikers, but the traffic can still be challenging. If you can't efficiently reach your destination by metro, then the bus is a good alternative. It's a complicated system, but is, in general, tourist friendly. There are electronic displays on each bus that tell you where you are and what stops remain. This can be very helpful if you're unfamiliar with the city. If you're going to be taking the metro a good amount plan ahead and buy your tickets in bulk. It'll save you a few euros in the long run and you want have to worry about buying a pass every time you ride the subway.